Start investing with as little as $5. Buy fractional shares in 1,000+ name brand stocks and ETFs. No monthly or annual fees. Only 99¢ a trade. 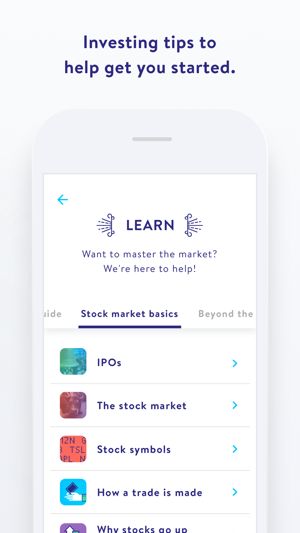 Featured in Consumer Reports, The Wall Street Journal, and CNBC, the Stockpile app is a great way to learn how to buy stocks and ETFs, including gold and Bitcoin funds. You can buy full or partial shares of Alphabet, Apple, Amazon, Disney, or Tesla. Pay with cash, credit/debit card, or Apple Pay. Start with $5, $10, $20 or $50. We offer fractional shares so you can spend just the amount of money you want without having to buy a whole share. This makes owning a piece of your favorite company affordable for you, even the expensive blue chips. The earlier you start, the longer your savings have to grow! Time really is money in the investing world. 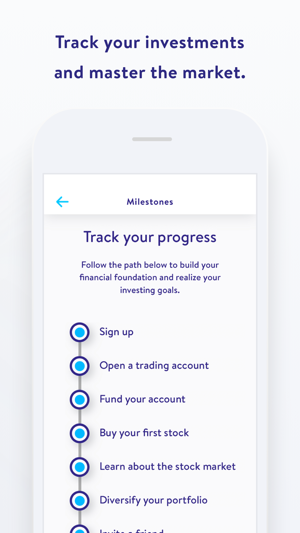 Take a look at our compound interest calculator in the app to see what we mean. Invest regularly and build your portfolio over time. When you buy fractional shares, you don’t have to put all your eggs in one basket. You can divide your savings over a few different companies. Of course, you can withdraw your money at anytime. Use our 20 fun mini-lessons to demystify investing, dividends, ETFs and more. Our trading tips help you learn how to trade with confidence. Buy shares in companies you know and love. Or buy ETFs managed by experts like Fidelity, Vanguard, and Blackrock. Even buy Bitcoin or gold through exchange funds. Unlike other brokerages, Stockpile doesn’t ding you every month just to have an account. You can move your money to and from your bank free of charge, and even reinvest dividends for free. Kids and teens can Stockpile by opening their custodial account with an adult. They can check their stocks 24/7 and even place trades that go to the adult’s smartphone for approval. Our youngest customers are only a few months old! Give the gift of stock instead of stuff. Pick a ticker symbol and dollar amount, and pay with a debit or credit card. You can also buy physical gift cards of stock as a unique gift for birthdays, graduations, holidays, and other occasions. You don’t have to break the bank to set someone on the path to a better financial future. Protecting your identity and personal data is our top priority. We safeguard your data using 256-bit encryption. We are an SEC registered broker-dealer and member of FINRA and SIPC. Securities in your account are protected up to $500,000. For details, visit sipc.org. HAVE A QUESTION? Call 1-877-374-2584 weekdays between 9 to 6 pm ET, or email us anytime at support@stockpile.com. 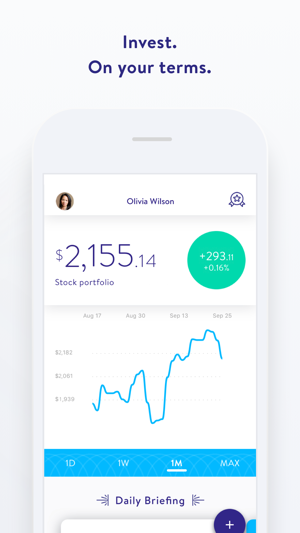 This app is perfect for someone starting out to invest in the stock market that doesn’t have a lot of money to spend. 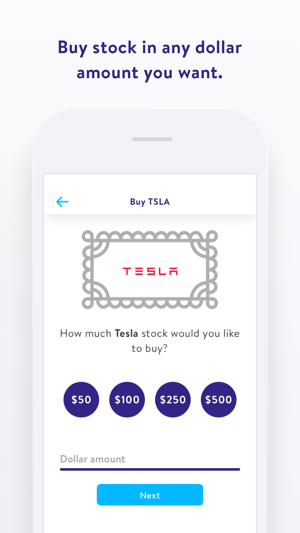 You can think of Stockpile as a savings account where you can invest literally pocket change, with the potential for better returns on investments (and also for greater losses) with the sole purpose of this app is to help build Equity within a stock share without necessarily having the entire stock price money. It’s a great opportunity for wealth building or for savings for a future purchase. Stockpile is bear bones in terms of trading tools (no limits, stop limits, good til cancel and the like) as every stock you purchase is bought at the closing of the stock market day. So if you decide you want to purchase a stock at $45 at that moment you’ll have to wait until the close of the market before your transaction is completed and at that point the stock price could be higher or lower than the $45 stock price you might have wanted. 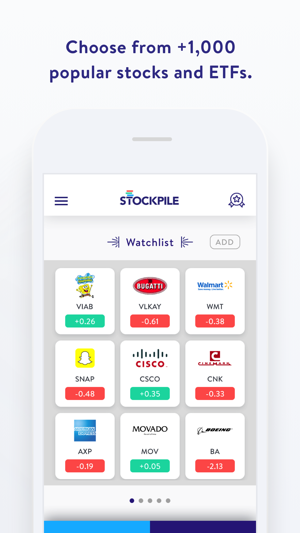 So if you’re looking for trading tools stockpile may not be for you, but if you’re looking for a unusual way to purchase stocks with a low commission with a savings account type ease then stockpile is the hands down winner! Initially I thought Stockpile was great especially after reading many reviews, plus it allows custodial accounts. I set up a custodial account for my daughter; however, could not add a bank account after multiple attempts. I then tried to set myself up an account, but it stated my email address was already used. Which it would be because it’s what I used to set up my daughters account. I changed her email address and tried to set mine up again and it still said the same thing. I’ve tried a total of 3 different emails and continue to get an error message. I’ve emailed and left a message via the app since they have no customer service number, but the app shows that they’re only available Monday-Friday (go figure). I received an email back from Megah who only provided me with the link to an article on how to add a bank account. I’m pretty sure I said I’ve tried to add a bank account and was having issues so sending me a link was not what I needed, nor did she bother to address the issue of me not being able to set up my own account. Customer service is extremely poor, very limited and not helpful. I like the concept of this app but with the issues I’m having, I’ll find a better company with better customer service.